The size appropriate grip plays a significant role in the players’ ability to control the club, so the flight path of the ball. With a neutral grip size, the player can more easily bring his clubface square at impact. Too big or wide grip may limit the golfer’s ability to properly release the wrists in the impact area (resulting in a slice, for example), while too little can cause the reverse grip inconvenience. PING club manufacturer takes the size of the grips seriously and uses a color code to offer 6 sizes of different grip on his clubs. Sizes among other clubs manufacturers: Often referred to by the following terms: female, standard, midsize, jumbo. As a basic rule to determine whether the grip has good girth , take your club in hand as if to play a shot and check that the middle and ring fingers of your highest hand just touches the « pad » at the base of thumb. F elms: Round or with a slight protrusion (rib). The grip of the putter has a planar face. There are a multitude of makes and models with different characteristics of weight, color, adhesion and comfort and of course price. Rope Grip Rubber which is crimped rope son. Good grip hands. Available in various grades for flexibility and comfort varied. Leather Grip. Good grip, comfortable to the touch, soon wears out, expensive damage if it starts to rain …. Materials : The steel, iron, graphite and other compounds, ceramics, aluminum, cycolac, wood (formerly), titanium, etc. The head may be made of one or more materials and / or alloy. The lightest possible today with the heads of extra large or oversize clubs. There are many features here are the main ones. The ideal impact point (sweet spot): Generally the larger it is, the higher the tolerance is high if the ball is not hit exactly in the center of this. Size: Generally a larger head has a larger sweetspot. The oversize heads are recommended for the majority of players. The cavity: Generally more the cavity is large and / or deep, over the surface of the sweet spot is great. The face angle (loft): Generally this angle is more open, the ball flight will be high and vice versa. The center of gravity: Generally the lower it is, the easier it is to lift the ball. So also recommended for most players. The main materials used for sleeves, steel, aluminum, titanium, graphite and other compounds. The neck is the most important part of the club and the wrong choice can significantly affect the golfer. Flexibility (flex): The choice of the degree of flexibility depends on the club speed generated by the player. If the handle is too soft or flexible compared to the speed of the club, the club face will tend to close at impact and cause an effect on the left. By cons, if a rigid handle is combined with a relatively low speed, it will expect a loss of distance and a possibility that the clubface is open at impact and see the effect right. Although each manufacturer has its standards, we can use these pins. The flex point (flex point): Commonly referred to as high, medium or low. A low point of flexibility can help the golfer to have a higher ball flight and vice versa. 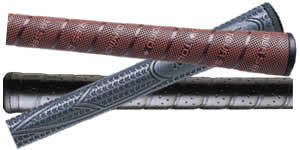 The degree of twist (torque): Measure on graphite shafts only, the degree of twist depends on the model of the handle. In general we can say that more tempo and club speed is faster, it is best to choose a handle that has a low degree of twist. Weight: handle the weight can have a big influence on the total weight of the club. Indeed according to the model the weight of the handle can range from less than 55 to more than 130 grams. P read the club is lighter, the player can accelerate without more effort and thus make longer shots. In return, too light a club becomes more difficult to control. Weight distribution (swing weight) : It is the balance of the club. This is to balance all of the clubs in a series so that the weight distribution is similar from one club to another. 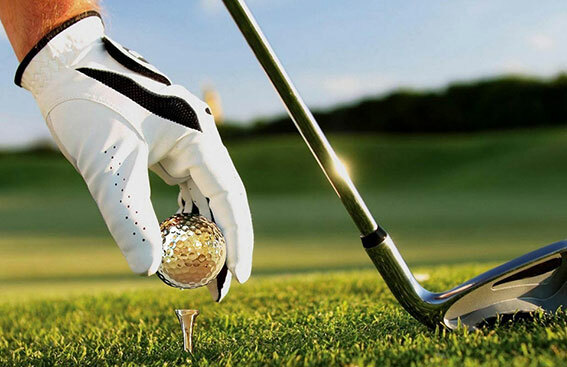 It is common practice that the sand wedge, lob wedge and the timber 1 have heavier swing weight. Although the ideal swing weight for the club of a player is difficult to determine, we can use the following table as guidelines. The length of the club : Generally more the club is, the more the speed will be bigger and the ball will go far. The club also becomes more difficult to control. It is much easier to play with a club too short than too long club. The angle of the handle (binds) : It is possible to alter this inclination of the majority of clubs or order them with the right tilt. When a player hits a ball and the center of the club head of the sole touches the ground, the dregs of the club is perfect. By cons if the toe or the heel of the club head which primarily hits the ground, the bullets will impact left or right.